30% off all orders from August 10th to August 20th. Use code FNFF1 at checkout. Free shipping (USPS Priority) on orders over $50. Cannot be combined with other codes. 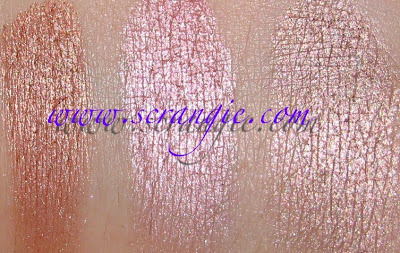 Onto the swatches! As always, click to enlarge- these babies are huge. Book Of Shadows. Stupid palette design but great colors! I hate the pull out drawer. 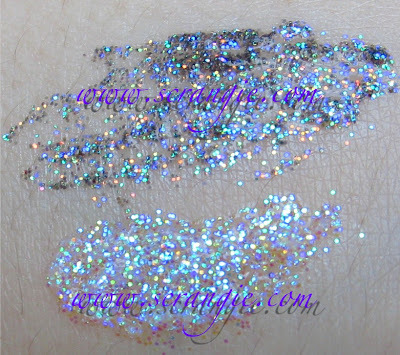 Heavy Metal Glitter Liner in Spandex and Glitter Gel in Power Ballad. I have some of the other glitter liners but I can't seem to find them... They're too sheer anyway. I had to take the stopper out of the tube to get enough glitter on the brush to make a line. 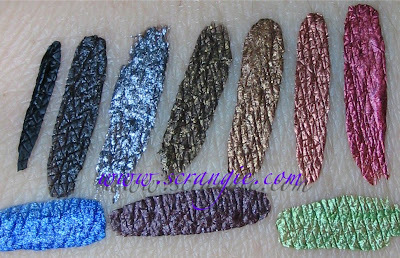 Liquid Liner (from left to right, top row first): Perversion, Oil Slick, Revolver, Smog, Honey, Lucky, Gash, Radium, Roach, Acid Rain. Love these. 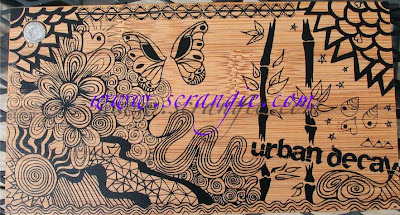 The cover of the Sustainable Shadow box- it's made of wood! 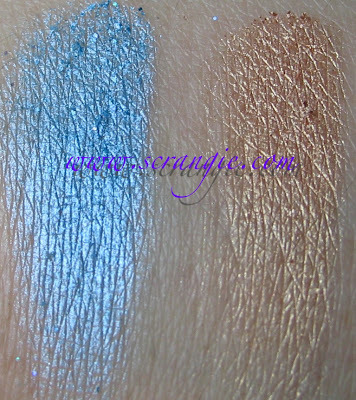 Taken at an angle to show the glitter in some of the shadows. YDK, Flipside, Grifter, Uzi. Grifter and Uzi have silver glitter. Twice Baked, Midnight Cowboy Rides Again, Flash, Oil Slick. Twice Baked is matte with subtle glitter, Midnight Cowboy Rides Again and Oil Slick have silver glitter. 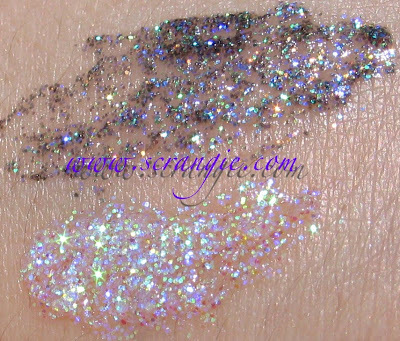 This is the new version of Oil Slick so it only has silver glitter- I liked the old multicolored version better. Kiddie Pool and Half Baked. Kiddie Pool has light blue-green glitter. I ordered a bunch of eyeliners. If the arrive before the sale is over, I'll be sure to post a review! That liquid liner looks delicious! I have to check that out IRL. 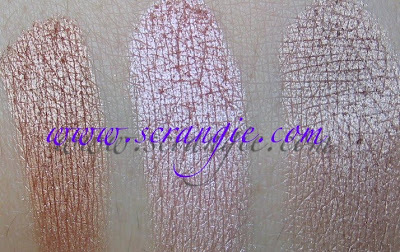 Thanks for posting make-up swatches too! I want the Book of Shadows SO BAD! I get paid Friday, LOL! Seeing that first palettes is like seeing old friends. I think I pretty much used it all up. 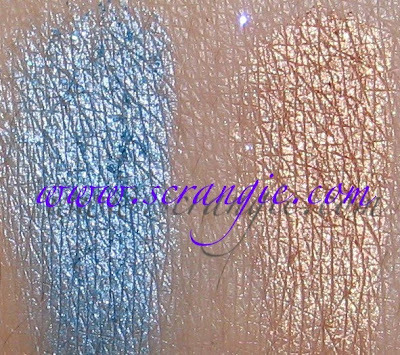 Am with you on the glitter liners being too sheer. I still have a massive soft spot for Urban Decay though. 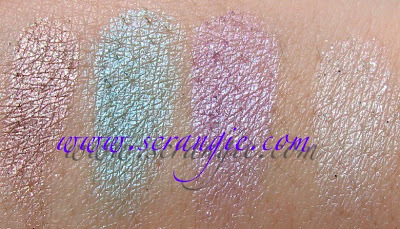 A few days ago I did some swatches of their 24/7 eye pencils, but I don´t have all their shades. 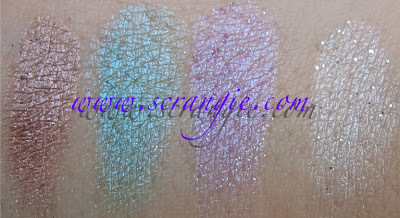 If you have some time and have them, could you please swatch them? I have the sustainable box, but I hate a lot of the colors in it because of the glitter fall out. I experience glitter falling all over my face with a lot of Urban Decay colors, which I don't experience with my mineral makeup or MAC. In that box though, I love Half-Baked, Flipside, YDK and Flash. I also have Sellout and Asphyxia that I really love. I like Cherry and Crash but the fall out drives me crazy. 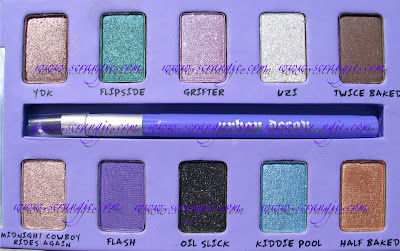 For the glitter liners, I usually line my eye with the liquid or pencil liner of my choice and follow up with the glitter liner...works like a charm! Oh! 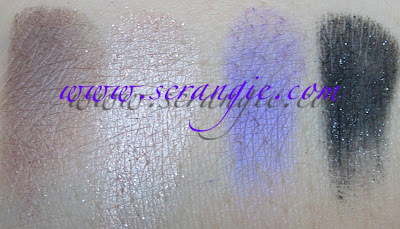 I forgot to ask: Do you have the Urban Decay Primer Potion? What do you think of it? I only use noticeable eye makeup occasionally so I've never used a primer before. It has great reviews but I'm wondering if it makes a huge difference. 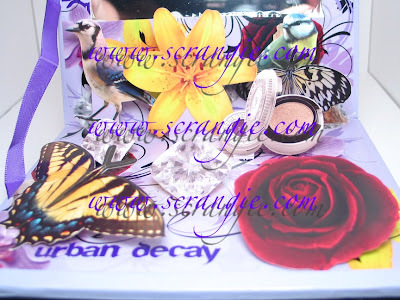 In addition, do you have the Wallpaper Shadow Box palette? 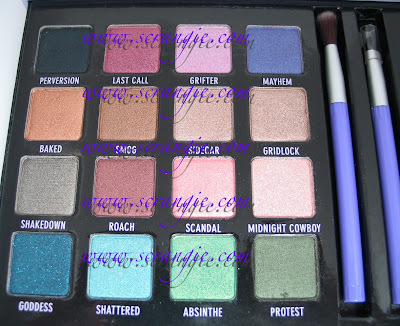 The Book Of Shadows is so nice :-) I have the liquid liner in Perversion and I love it, I am planning on getting other colors. 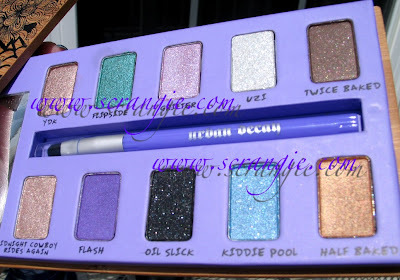 Crying over here - Urban Decay posted yesterday on their Twitter that they've sold out of the Book of Shadows palette. I was going to splurge on it Friday (when I get paid) and now I don't know what to doooo!! I love the 24/7 liners, I'll have to get some. Also, what happened to Konad week?? Cacauate, you're welcome! Those liners are really nice! AllYouDesire, sure, I'll swatch the ones I have! Phyrra, I HATE the glitter fall out! I can never get the glitter to stay on my lids with those shadows. I like the base colors, though, so when I'm done applying, I wet my brush and pick up a little of the glittery shadow and press it on, then I spend 15 minutes getting the glitter off my face, haha! Sprinkles, you're welcome! As for the Primer Potion, I love it! It's a must have, in my opinion. I do prefer Too Faced Shadow Insurance now, but Primer Potion is almost as good. I do have the Wallpaper box, I'll swatch it! 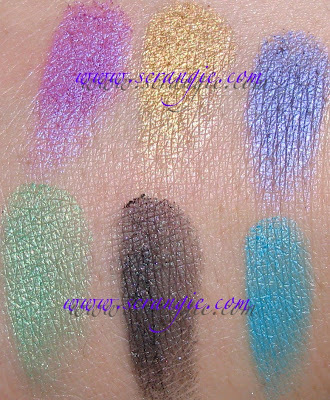 Nefertari, I think the liquid liners are my favorite Urban Decay item! LaDonna, awwe, I'm sorry :( Beg them to make more! Anne, I love 24/7s too, I'll have to swatch the ones I have! Doing Konad week bummed me out too much, I needed a break- I can't post about the same thing for a week straight, it seems! Oh no! My poodle is kayaking into a potato of orange patio spaghetti from the beaver hut in lilac valley! GO COCONUTS! Thanks for the promo code for the Friends and Family Event! I just picked up the Body Balm in Cosmo and the Best of Urban set in Baked. I'm so excited!! I'm also excited to try the glitter liner even though reading through these comments it sound like no one really likes them much. Thanks for all the swatching. I better go and visit them now. 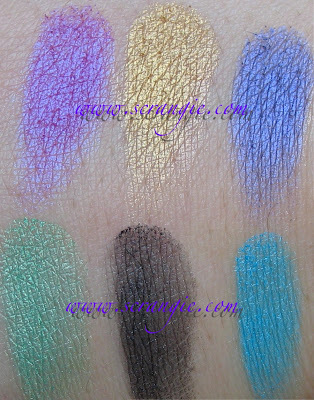 I want the new eyeliners. 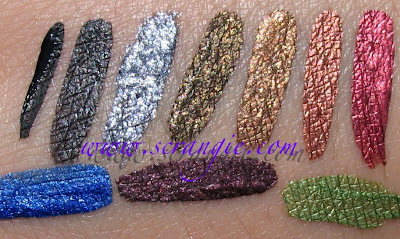 I love those liquid liner colors! EVERYONE has said that they hated the hard to get out drawer design. I hope UD hears this feedback and will bring it back with a new design.